Ships tomorrow if you order in the next 20 hours 22 minutes. Adults: As a dietary supplement, take 3 capsules 1-2 times daily, between meals. If you are pregnant, nursing, taking medications or have a medical condition, please consult your healthcare practitioner before use. Keep out of the reach of children. PHENYLKETONURICS: Contains Phenylalanine. Great amino acid supplement. One of the few out there without mag stearate. Taking these has helped my health. I would recommend them as part of any basic health improvement program. I love Pure Encapsulations products, as they are one of the few companies really committed to providing quality supplements without all of the excipents, binders and fillers that so many companies use. I also love Natural Healthy Concepts. Thanks for the great products and great service! Recommended by holistic doctor. Pure Encapsulations Co. is known for excellent quality of its products. 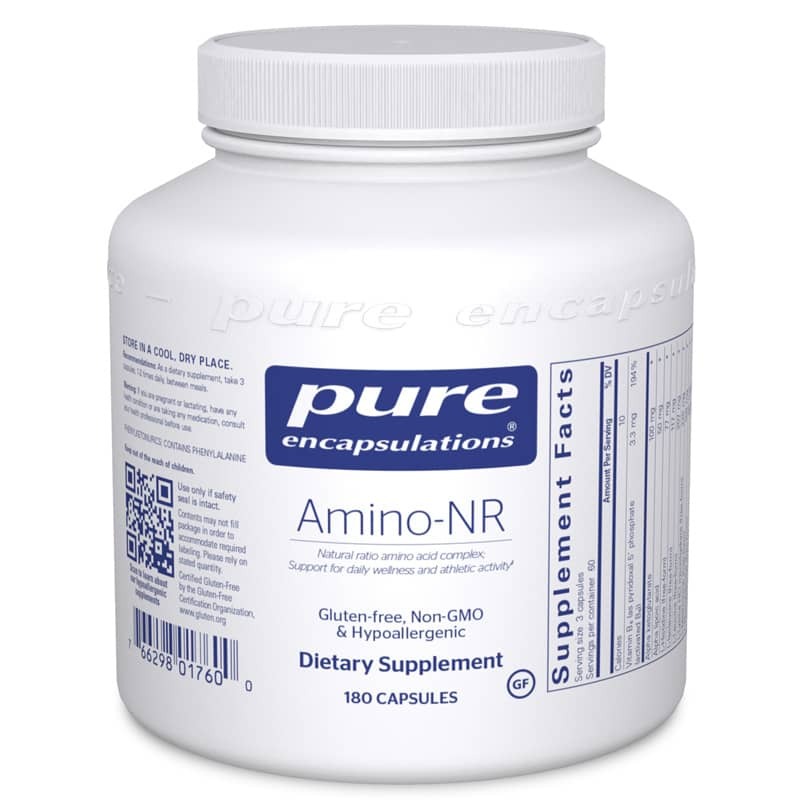 Amino-NR is a part of my overall health regimen.